Organizing and administering a construction site so that the right resources get to the right place in a timely fashion demands strong leadership and a rigorous process. 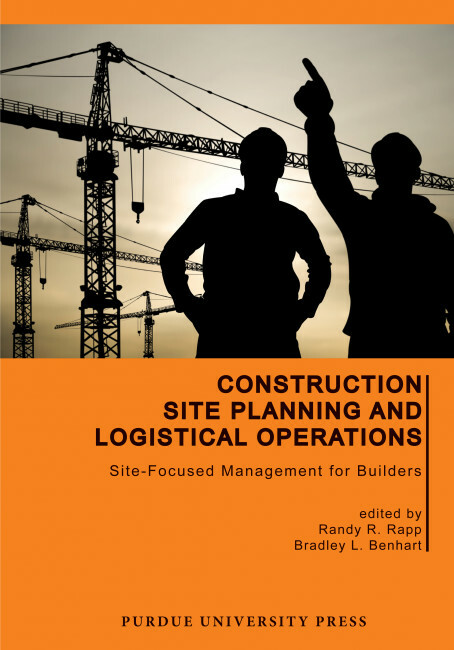 Good logistical operations are essential to profitability, and this book is the essential, muddy boots, guide to efficient site management. Written by experienced educator-practitioners from the world-leading building construction management program at Purdue University, this volume is the ultimate guide to the knowledge, skills, and abilities that need to be mastered by project superintendents. Observations about leadership imperatives and techniques are included. Organizationally, the book follows site-related activities from bidding to project closeout. Beyond outlining broad project managerial practices, the authors drill into operational issues such as temporary soils and drainage structures, common equipment, and logistics. The content is primarily geared for the manager of a domestic or small commercial building construction project, but includes some reference to public and international work, where techniques, practices, and decision-making can be substantially different. The book is structured into five sections and fifteen chapters. This facilitates ready adaptation either to industry training seminars or to university courses: Section I. The Project and Site Pre-Planning: The Construction Project and Site Environment (Randy Rapp); Due Diligence (Robert Cox); Site Organization and Layout (James O'Connor). Section II. The Site and Field Engineering Issues: Building Layout (Douglas Keith); Soil and Drainage Issues (Yi Jiang and Randy Rapp). Section III. Site Logistics: Site Logistical Procedures and Administration (Daphene Koch); Earthmoving (Douglas Keith); Material Handling Equipment (Bryan Hubbard). Section IV. Leadership and Control: Leadership and Communication (Bradley Benhart); Health, Safety, Environment (HSE) and Security (Jeffrey Lew); Project Scheduling (James Jenkins); Project Site Controls (Joseph Orczyk); Inspection and QA/QC (James Jenkins). Section V. Planning for Completion: Site-Related Contract Claims (Joseph Orczyk); Project Closeout (Randy Rapp). Randy R. Rapp is an associate professor of Building Construction Management at Purdue University. He has extensive practical experience in the impact of natural and manmade disasters, working in both government and commercial contexts. While with Kellogg, Brown & Root (KBR), he served in project controls and operations for Hurricane Katrina and logistics management for Hurricane Wilma. He was also the project controls manager and deputy program general manager for the Restore Iraqi Oil program. Rapp is well-known as an educator and has written many articles and several books. Bradley L. Benhart is a clinical professor of Building Construction Management at Purdue University. His previous position was vice president with Pepper Construction Company. While at Pepper, Benhart was a group leader who managed multiple projects ranging from $100,000 to $250 million. He has also been an adjunct professor at Northwestern University's Master of Project Management program.